Got up early this 6th June and went off to the Sydney Film Festival showing of Overlord. 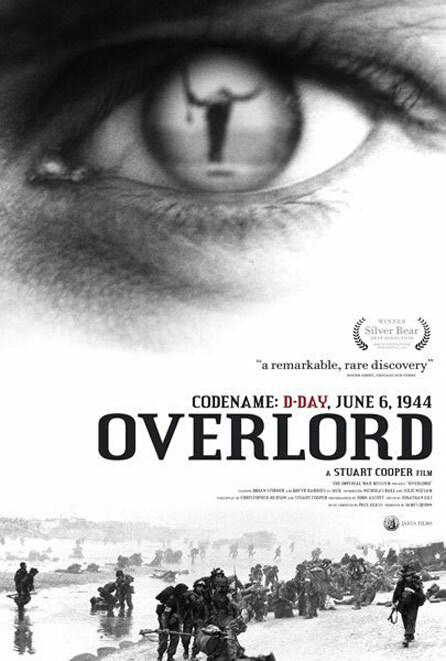 This is a rarely seen film based on Operation Overlord, the code name for the Allied invasion of Normandy, which was launched on D-Day 6th June 1944. It is a fascinating film, interweaving archival footage and a fictional narrative almost seamlessly. Overlord was made in 1975, shot in black and white, and the archival film footage from the Second World War was provided by the UK’s Imperial War Museum. Stuart Cooper, the director, was in attendance and explained some of the background to the film. He noted that the well-known documentary The World at War was being researched and made using the film archives at the same time – two such different approaches to the same material. The sound during the film seems to fit completely, so it was a surprise to hear afterwards from Cooper that the archival footage was mute. Thus the sound crew had to create all the sound to match the archival footage for the film. Cinematography on the film was by John Alcott (who had a distinguished career & worked a lot with Stanley Kubrick), and the cutting together of modern narrative and wartime footage is amazing. This film gave an interesting perspective on the Allied invasion of Europe in 1944. Well worth getting up early for! Had some great company for viewing the film – thanks to @neerav, @schel, and @judsonwelliver. Followed up the film with a tasty lunch at the Art Gallery of NSW restaurant & a glass of Poire William to toast D-Day and those who fought.